In western cultures, we may associate prayer beads to Christianity and Middle Ages. In fact, their use is universal and pre-dates the Christian Era. Even today the religions of nearly two-thirds of the world’s population utilize some form of prayer beads: Muslims, Buddhists and Christians. The use of prayer beads came from the early urge to count prayers. Probably, in the beginning, fingers or pebbles moved from one pile to another was the way to do it. Later on, a cord was some knots were tied was used. In fact, the ”konbolion” is a knotted rosary still employed nowadays in the Greek Orthodox Church. Also used until recently (S. XIX in Germany) was a thong of leather with bone rings attached, which was already found in 8th-century graves. Even though the number, arrangements, and materials of prayer beads are different with each religion, there are shared concepts that link the beads of the major faiths, like the symbolic associations made between flowers (particularly the rose) and gardens and prayer beads. The name for prayer beads in Tibet and India is the Sanskrit word mala: it means “garden” or “garland of flowers”. The Roman Catholic rosary has also a rich historical relationship with rose garlands and rose gardens. 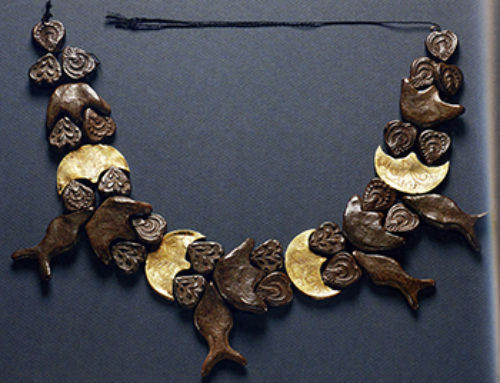 Another similarity is that the number of beads used are predominantly a multiple of three, related to the Buddhist triad (Budha, the doctrine and the community) and also to the Roman Catholic Trinity (The Father, The Son and the Holy Ghost). The Buddhist and Hindu rosaries have usually 108 beads, the Muslim 99 and the Roman Catholic 150. The rosaries also share a talismanic protective meaning in all religions that could be enforced by using prophylactic materials as coral or carnelian. On the contrary, counting beads should induce to a meditative state in Eastern religions, in contrast to the Westerner, who encouraged to think while reciting prayers. The use of beads to count prayers appears to have originated with the Hindus in India (there is a sandstone sculpture from the II century B.C. portraying Hindu sages holding rosaries), but it can also be traced earlier when Buddhism was founded in the 5th century B.C. 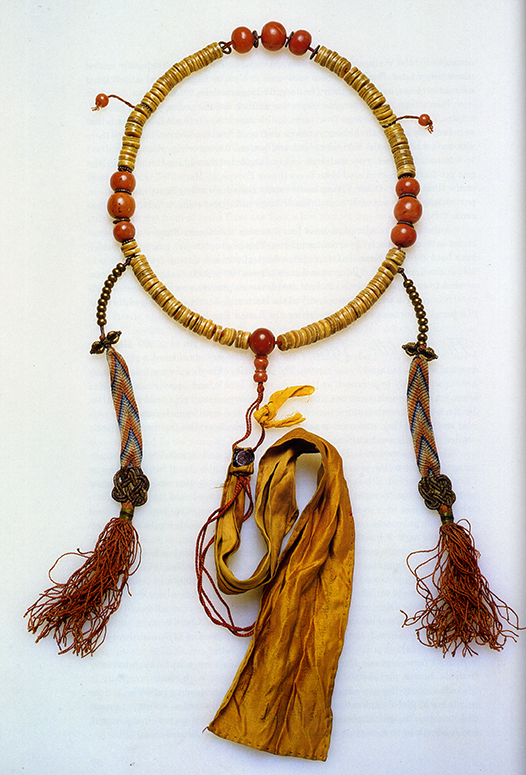 Later on Buddhist followers in Tibet, China and Japan adopted the use of rosaries. Still today prayer beads are central to the life of many Hindus, and prayers are repeated for hours daily. 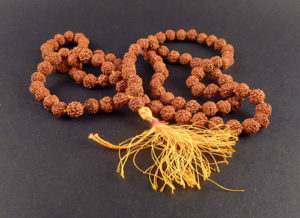 Two basic types of prayer beads (mala) correspond to the two major Hindu cults of Shiva and Vishnu. For the last thousand years, the devotees of Shiva have carried rosaries of rudraksha, a seed of the Elaeocarpus, with E. ganitrus. Vishnu rosaries are made from tulsi, the holy basil Ocimum sanctum. 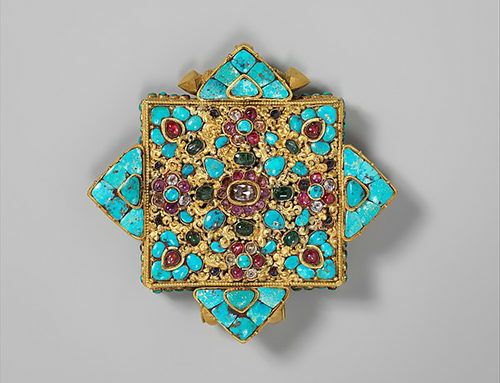 Buddhism incorporated a wide range of materials for the mala, according to the unlimited tolerance as an essential principle of this faith. 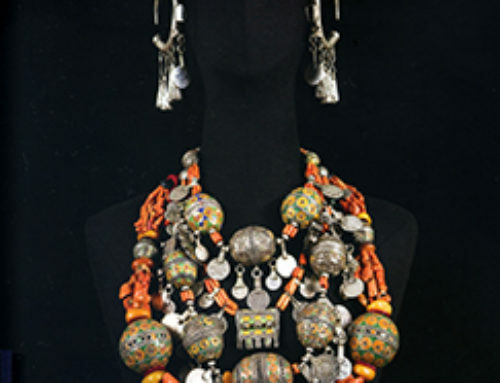 In old Tibet nearly everyone carried or wore prayer beads of wood, shell, amber, semiprecious or precious stone, though the most prized beads there were made from the bones of a lama. Characteristics of Buddhist mala are the two strings attached to the main strand with ten smaller beads, known as “number keepers” or counters. They are used to keep track of the number of times the user recites his prayers. The counters strings generally terminate with two small pendants, the djore and the drilbu. In addition, other personal odds and ends can be found attached to the rosaries such as tweezers or keys. 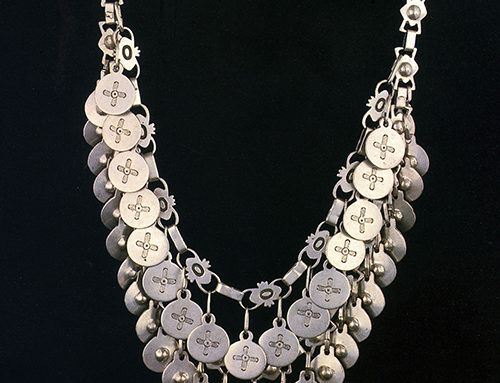 The Buddhist rosary took on unique forms in Japan, being the most widely used the rosary with 112 beads. Wood was the preferred material. 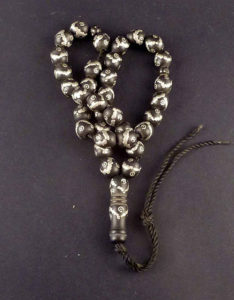 In China, prayer beads have never been widespread and they were used primarily for status rather than for praying. 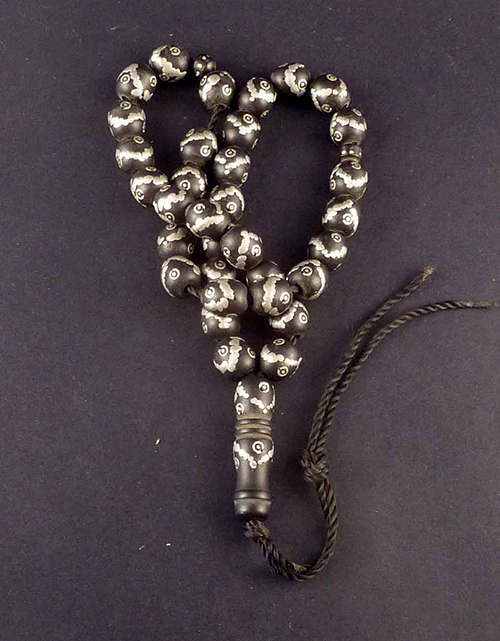 The Muslims probably derived the concept of prayer beads from Buddhism. Muslim rosaries have 99 beads which are used to recite the 99 attributes of God. The one hundredth bigger “leader bead” is reserved for saying the name of God, Allah. Islamic prayer beads are made of wood, including acacia, olivewood, ebony, sycamore and sandalwood. 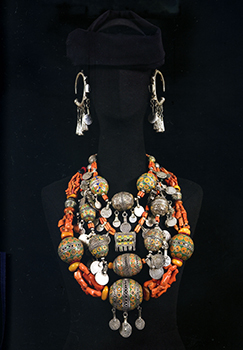 Materials as bone, ivory, coral, amber, carnelian, agate, lapis lazuli and glass have also been used. 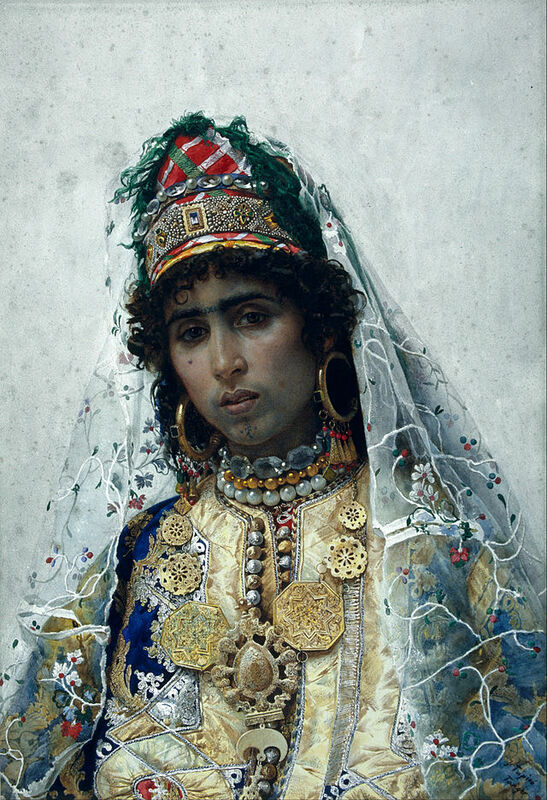 In Mogul India pearls, rubies, emeralds, and sapphires were the beads of the court. Prayer beads produced in Mecca are still nowadays highly appreciated. The Christian rosary began to be used in the Middle Ages at monasteries at around the 10th century A.D. 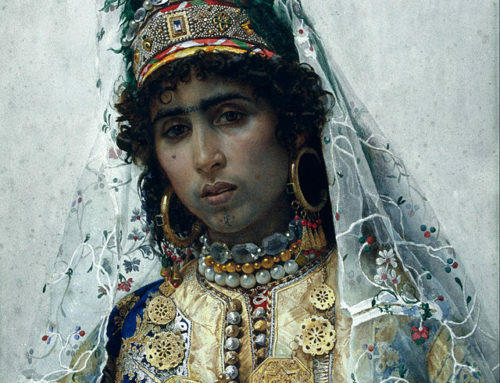 The main theory is that prayer beads came through the Muslims followers by the influence of the Crusaders coming back home, or it could also come along with the Arab invasion beginning in the south of Spain. 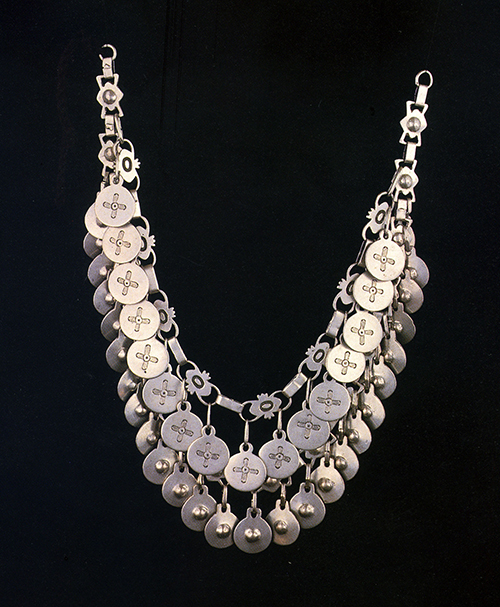 The 150 beads known as the “Ave beads” correspond to the number of psalms, and are used for reciting the Hail Mary prayer. 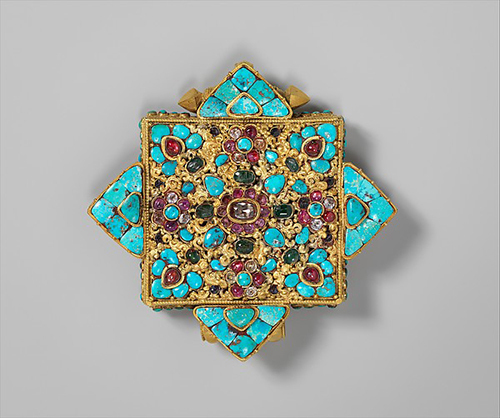 During the medieval period, when jewelry was discouraged by the church, rosaries were acceptable as convenient portable devices for counting prayer but were then used to show the wealth of the wearer using the most luxurious materials. Primarily in reaction to these excesses, Protestants do not use prayer beads. Judaism also excludes them, as they consider these beads magical and therefore pagan.